The Spinsterhood Diaries: Another Palette Painting! It's Tuesday, and I'm already a little behind on my work for the week. I'm behind for a good reason, though! Yesterday I got to go back and spend half the day at SCAD helping students with Illustrator. Since Adobe Illustrator is one of my favorite things, I had an excellent time. 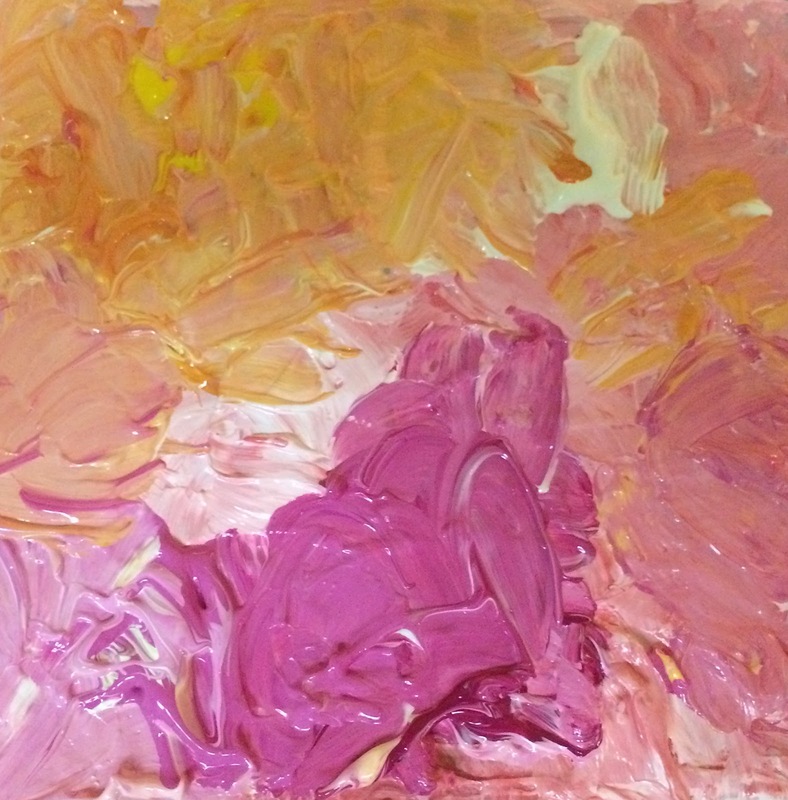 Because I'm behind, though, I'm just posting another one of those lumpy palette paintings for your enjoyment. This one is very small - I think it's something like 6" x 6" or 4" x 4". It's not dry yet, but when it is I may post it on Etsy and see how it goes. What do you think? Certainly it's too small to live all by its lonesome on a wall, but it could be a fun part of a gallery wall. Now, I need to get to eating breakfast and painting portraits! Happy Tuesday!